With a new year comes a new resolve. Perhaps you always make the same resolutions every year: lose weight, clean up your finances, get in shape. Those are great goals, but how about making a goal you can actually stick to all year? We’re talking about improving your smile, and it’s not as difficult as you may think. Why not start the new year off right with a gorgeous smile? Here’s how you can do it. As one of the most common and least invasive cosmetic dentistry services, teeth whitening in Studio City is proven to be safe and effective when done by a professional. In no time at all, you’ll experience whiter teeth. In fact, our process will lighten your teeth by five shades in under a week. Our process acts faster and is more effective than those you’ll find at the drug store. The dentists at Studio City Dental Center utilize a cutting-edge whitening technology called G.L.O., which stands for Guided Light Optic technology. The GLO Brilliant Teeth Whitening Device is used in combination with the Whitening G-Vial Gels and Whitening Mouthpiece for optimal results. The heat works with the whitening gel within the mouthpiece to enable greater efficiency and a quicker whitening effect sans the sensitivity that comes with other types of systems. 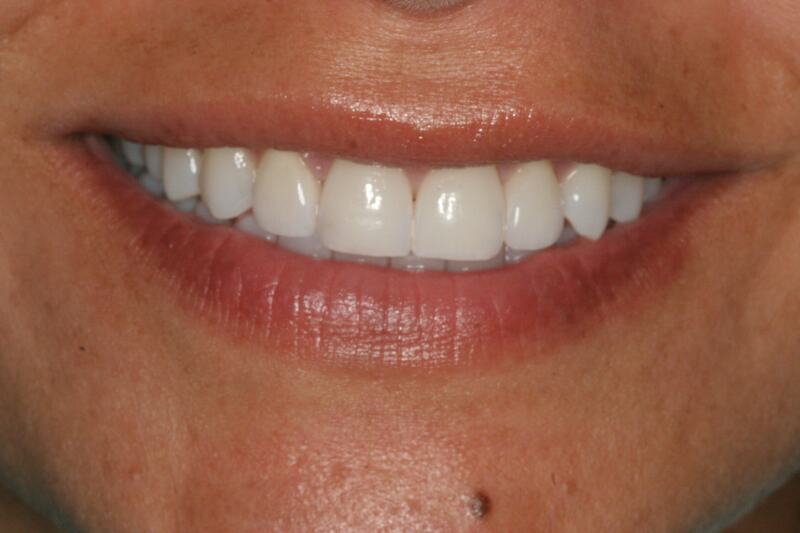 Veneers can also improve the appearance of your teeth. Your dentist will let you know if you’re a good candidate for this option. He or she will place ultra-thin porcelain sheets on top of your existing teeth, which also serve as a permanent way to whiten your teeth or correct gaps in your smile. Whether you suffer from discoloration or gaps, this is a versatile dental solution. Protect teeth from daily wear and tear. Reshape teeth to enhance facial features. 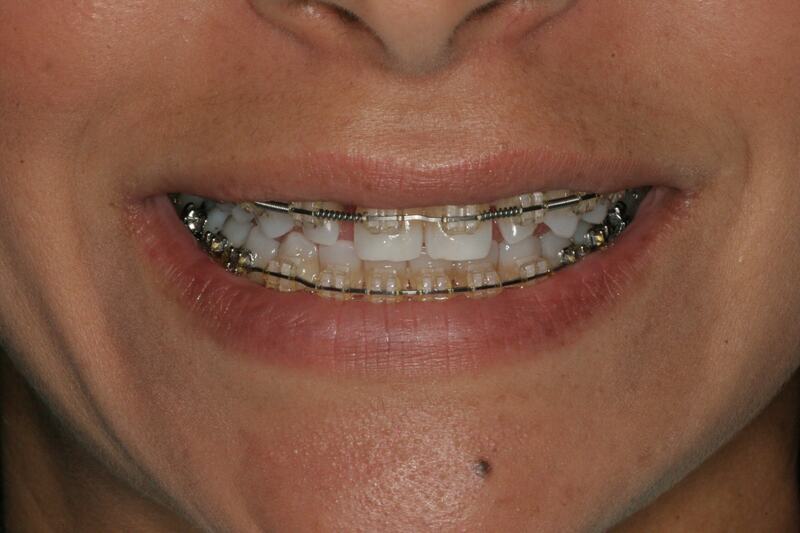 Make minor adjustments to teeth alignment without the need for braces. Support Invisalign while taking pressure off the gums and jawbone. Support a new set of replacement teeth. Dental bonding can fix a variety of dental cosmetic defects, ranging from chipped and decayed teeth to misshapen or discolored teeth. This is a very simple procedure compared with other cosmetic techniques, with no advanced preparation and no anesthesia required. The dentist will apply a resin material that will harden and bond with your tooth when exposed to a special UV light. The resin is made of plastic and is the same color as your tooth. We will match the bonding material to the exact shade you need so it won’t stand out later. Once the bonding material hardens, the dentist will trim off any excess. The whole thing takes just a half hour. Crowns, bridges and dentures are just a few of the other options available to you if you want a brand new smile for the new year. Call us to find out how. Start the new year off right with a winning smile. Call Studio City Dental Center today to schedule your appointment or use our convenience online form.